AFFÄIRE is a Hard Rock act from Portugal, founded in late 2011 and debuted with a single “Born Too Late” released on 7” vinyl format. 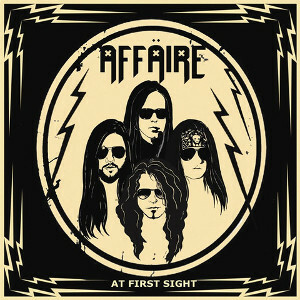 In September 2015, AFFÄIRE released worldwide their long-awaited debut full-length album “At First Sight” through the L.A. based Demon Doll Records. The album was was recorded at Lisbon’s Pentagon AM Studios and mastered at The Groove Room in San Rafael, California, a studio run by Davy Vain, who supervises the whole analog mastering process. 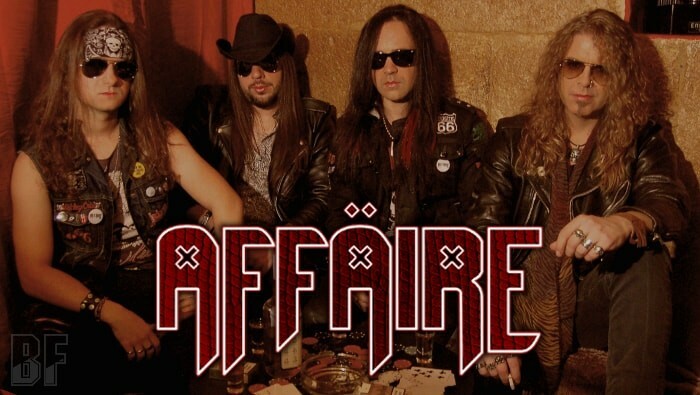 AFFÄIRE delivers Rock 'n' roll, which is obviously presumed to be influenced by the street decadence in 70’s Punk Rock, fuel of NWOBHM rush, and the Sunset Strip's glamour & sleaziness. The band has been playing live shows, including support act for Paul Di Anno (UK) and House Of Lords (USA). Fans of L.A. Guns, Vain, Mötley Crüe, Zodiac Mindwarp, and Guns N' Roses should check out this band.